Moon Tooth return to reinforce their winning formula with superb writing, more excitement, and a couple welcomed surprises. Crux is a treat that solidifies the band as a force to be reckoned with. That’s it, that’s the review. What more can I say that “Trust” can’t say on behalf of Moon Tooth, or their new album? Since you’re here, I’ll try to entertain you with my thoughts, but rest assured they will pale in comparison to the flashiness and skill on display with Crux. I have a palpable excitement when talking and thinking about this album. Why? It’s the infectious energy that it’s drenched in. Crux is the carefree stage dive from a concert stage. It’s the invigorating rush of jumping into a cold pool after you’ve been boiled by summer heat all day. I’m certain listening to this album also how it feels to chew 5 gum. That last one is pure conjecture, though. Regardless, Moon Tooth transfer their energy to you and you’re forced to deal with it. This is hardly a problem, especially for someone who doesn’t drink coffee like me. Mmm, caffeine free Crux. First, let’s establish the makeup of what we’re dealing with here. John Carbone’s vocals are bluesy and soulful at times, definitely informed more by contemporary rock’s more projecting singers than any single heavy rock or metal vocalist. Nick Lee’s show-stopping guitar performance has riffs for days, and it’s clear from his parts alone that the band knows how to write songs. Drums from Ray Marte crash and pound through the speakers like hippos through houses. Even Vin Romanelli’s bass is given adequate time to shine (seriously, listen to “Trust”! ), and remains audible throughout the whole album. Everything has a bold presence. Each performance is so spirited, you’re compelled to mimic them all in embarrassing glory. 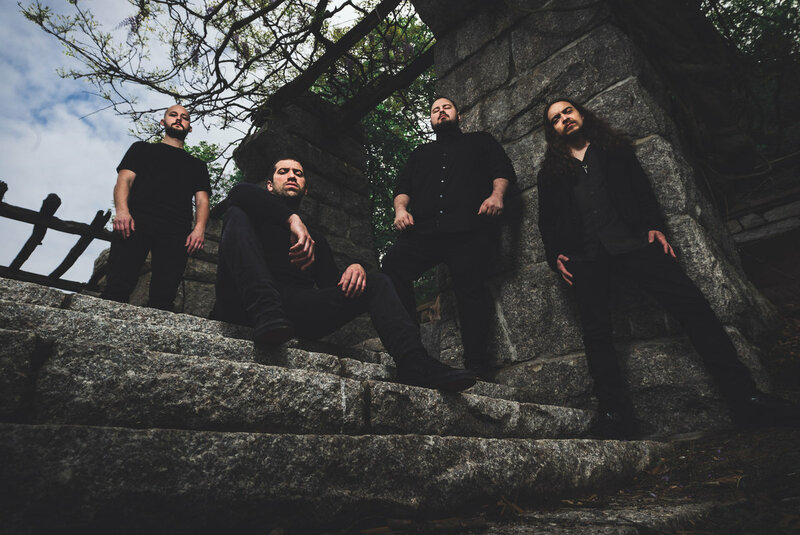 Between failed attempts to match Carbone’s acrobatic vocal melodies, the shredding guitars, and powerful percussion, Crux will have you looking like the octopus from Aquaman in no time. None of the music on here is half-baked, hackneyed, or lacking in passion. Tracks like “Omega Days” and “Musketeers” just kick in the door with fabulous melodies from both Carbone and Lee. “Omega Days” in particular has some nice, proggy measurements that bridge from verse to chorus. The vision of Lee’s picking hand travelling up and down across his strings is a dizzying thought with how much is played. It’s amazing that he’s the sole axeman in Moon Tooth, with all the sturdy leads that fly from one end of the room to another and back. For that matter, “Thorns” achieves the same feat, as does “Rhythm and Roar”, and… oh, I’m just reading the tracklist now, huh? All right, let’s dig a bit deeper then! There’s a number of areas where Carbone expresses some great range. From yelled vocals throughout, to more subdued moments like “Through Ash”. Though he really belts it out during the chorus, and that vigor of his is quite admirable, it’s the verses that are comparatively tender. It’s the kind of confidence you find in an American Idol finalist looking to win it all with one chance at the top. The instrumentation always knows when to scale itself back to match the vocal mood so there’s no disparity or threat of a performer trying to overshadow another. “Awe at All Angles” deserves an honorable mention for showing the chemistry that Moon Tooth have, as well as being the most apt named track here, because it’s exactly how I feel listening to the whole album. The title track is another beast entirely. It’s played mostly straight (by Moon Tooth standards), but a little past halfway through it, we get a heel turn into something much darker, like a rollercoaster you’re on plummeted and burst through the earth’s crust for a little detour through hell. The intense screams are the only full-on harsh vocals on Crux and that makes them surprising, effective, and magnificent. I kind of wish the album would have ended here because that would have made for a hell of an ending. We instead get “Raise a Light” – which is a fierce closer all its own – choosing to end Crux with a sparkling fizzle, so I can’t rightly complain about it. Moon Tooth manage to be just about everything possible. It’s as if they are music’s version of the color wheel, the origin of all rock-based music. Looking into the blends of sounds they achieve is awe-inspiring, even more so when you consider it’s all achieved with relatively conventional means, no gimmicks needed. If you have a fetish for fun, and an ear for catchy melody that never relents, this is the album for you. With Crux, Moon Tooth are solidified as one of music’s most interesting, and promising, acts. Next PostVök - "In The Dark"